There is a range of training and assistance available, to help you get the most out of your INE Network Emulator. Course Name: Installation, Configuration & Administration of INE Network Emulator. Price: Pricing available upon Request. This one-day course is designed primarily for network professionals who will be responsible for installing and managing the INE and who need to understand the capabilities and options that are available. Topics will introduce students to the INE architecture, how it processes traffic, multi-tenancy options and how typical administrative and operational activities are performed. This course is intended for network professionals who are responsible for the setup and normal day-to-day operation and administration of the INE. Module 1: Setup and Controlling INE; Starting an Emulation. Please Note: Both Part 1 & Part 2 are Half-Day Training Courses. Attend remotely via web access from anywhere with INE users from other organizations. This option is scheduled monthly and is free of charge for INE customers that have a current maintenance and support contract. See above for our Course Schedule. Attend remotely via web access from anywhere with INE users from your own organization. This option is available upon-request. Please contact your iTrinegy representative for further details. Attend on-site at your organization’s location. This option is available upon-request. Please contact your iTrinegy representative for further details and availability in your region. iTrinegy’s Professional Services help you architect, implement and optimize your Virtual Test Networks with iTrinegy’s products. Ensure that your iTrinegy product is installed and running as efficiently as possible with the help of an iTrinegy consultant. This service provides necessary design review, product orientation and application fine-tuning. Enhance the performance, health and security of your iTrinegy investment with configuration optimization services. iTrinegy consultants can maximize your use of advanced product features such as virtual ports, traffic generation, user defined protocols, traffic shaping as well as network performance and application tuning. iTrinegy have an extensive library of video guides for INE. The Core Videos, give you all the information you need to get started, and run your first emulation. Our Focused Videos, explain a bit more about some of the features available on INE. Our workshop videos, explain a bit more about how you can use our Technology in various industries, in different solutions. Our NE-ONE Network Emulator Range, has been designed with ease-of-use in mind. Whether you’re an Application Developer, or a Network Specialist, you should be able to use our emulator with no previous experience or specialist knowledge. The Emulator has built-in help, including hover-over comments, on-board documentation and tutorial videos. Enhance the performance, health and security of your iTrinegy investment with configuration optimization services. 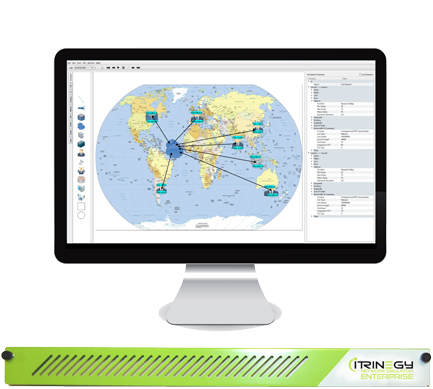 iTrinegy consultants can maximize your use of advanced product features.